Yesterday I posted the previews of the latest song of ATIF ASLAM, TERA HONEY LAGA HOON ( OST : AJAB PREM KI GHAZAB KAHANI ) and the preview of another song of ATIF ASLAM in the same movie TU JANE NA is out and here you can watch that. This preview is the REPRISE version of the song TU JANE NA . Soon the full version of both songs TERA HONEY LAGA HOON and TU JANE NA will be available on THE MUZIC WORLD for you all. So keep visiting and keep rocking. 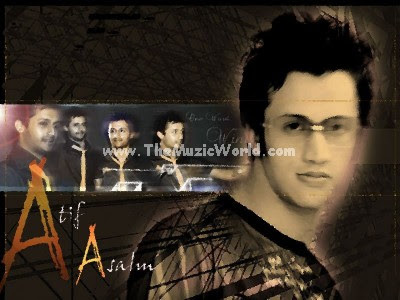 it an amazing song by Atif. tu jaane na....what aaaa song!!! touches the very soul of your existence.